Jurgen Klopp has made one change to his starting lineup as Liverpool take on Bournemouth at Anfield, looking to return to the top of the Premier League. The Reds head into today’s clash behind Man City on goal difference, but with the champions having played one game more—their 2-0 win over Everton in midweek. Playing catchup after back-to-back draws may be a frustrating reality for Klopp’s side after previously holding a considerable lead, but now in the familiar role of underdogs this could play into their hands. Liverpool were boosted by the return of three key names in training on Thursday, and will take to the field with a strong lineup. Alisson starts in goal, behind a back four of James Milner, Joel Matip, Virgil van Dijk and Andy Robertson, as Trent Alexander-Arnold only considered fit enough for the bench. 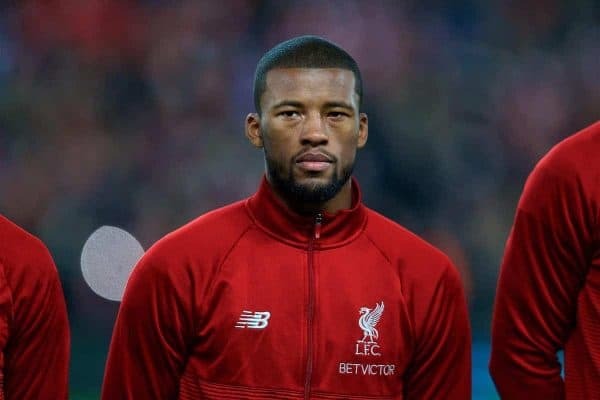 In midfield, with the Reds expected to return to a 4-2-3-1 setup, Fabinho is joined by Gini Wijnaldum, with the Dutchman’s return a big boost. And providing the firepower in front of a reinvigorated Anfield crowd are Sadio Mane, Roberto Firmino, Naby Keita and Mohamed Salah. 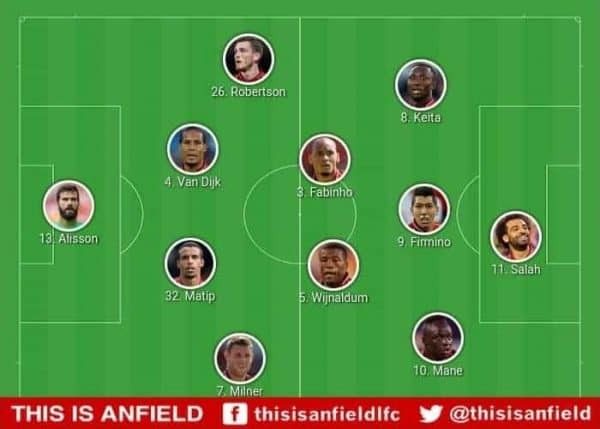 The improved strength of Klopp’s ranks ensures the likes of Alexander-Arnold, Jordan Henderson and Daniel Sturridge in reserve on the substitutes’ bench. Ex-Liverpool winger Jordon Ibe starts in a weakened Bournemouth side, while Dominic Solanke takes up a place on the bench alongside youngsters Chris Mepham, Jack Simpson, Kyle Taylor and Sam Surridge. Xherdan Shaqiri misses out for the Reds due to an abdominal strain, joining the likes of Ki-Jana Hoever, Ben Woodburn and Rhian Brewster in the stands.